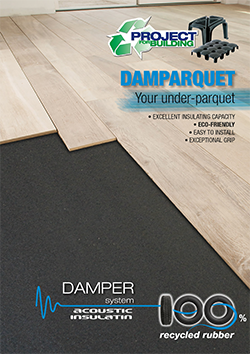 DAMPARQUET is a high performance matting, ideal for soundproofing of existing floors. 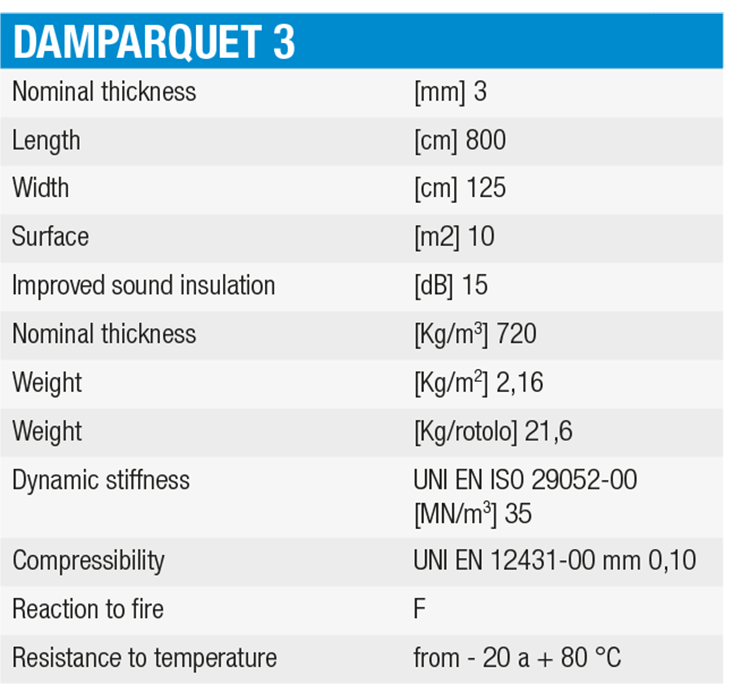 DAMPARQUET is made from rubber derived from tyres ground down and bound together with a polymer with low elastic modulus. The product is designed to meet the needs of restruc­turing and sound proofing of existing flooring, where a wood finish or similar is required. DAMPARQUET is applied dry under wood flooring, float­ing parquet or similar, in order to reduce the transmission of impact noise, and it perfectly adheres to the flooring. One of the most frequently used methods for laying floating parquet is the positioning of interlocking par­quet, without the use of glue, screws and material for assembling the parquet. 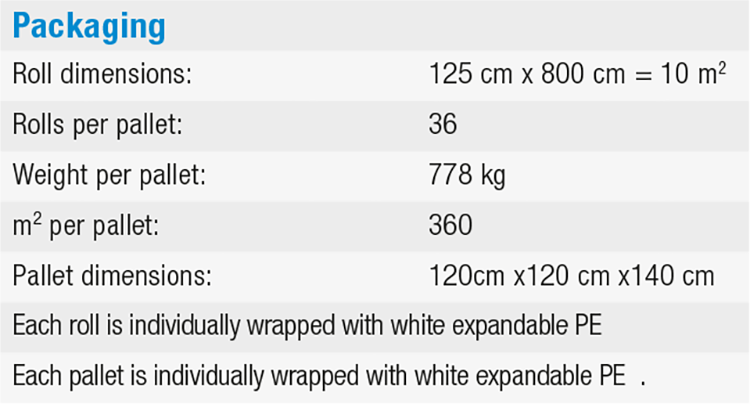 DAMPARQUET underlay matting is suitable for both new constructions and renovations, in situations where there is a need to increase the level of acoustic protection both from impact sound and from reflected sound. This noise occurs especially with floating floors and when the cor­rect soundproofing matting has not been fitted. 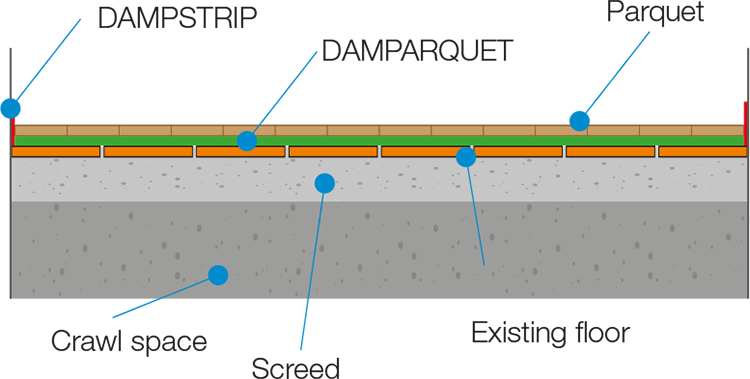 Apply DAMP STRIP to the perimeter of the room to be insulated at the point of contact between the mat and the walls. Roll out the DAMPARQUET mat continuously, dry on the existing floor. Then proceed to lay the flooring. mercury or similar. It does not emit toxic fumes.